16ft x 7ft FORZA Alu110 Freestanding Football Goal. 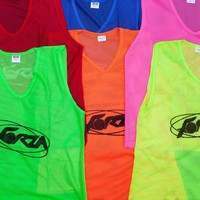 Regulation size 9-a-side match goal. Heavy duty 110mm aluminium frame with 5mm HDPE net. Optional weights and wheels. The freestanding nature of the goal allows it to be shifted between positions, and with the optional lever type football goal wheels, this process has never been easier. The CAM mechanism of the wheels lifts the goal 100mm off the ground, allowing its extra wide design to move freely on all surfaces. 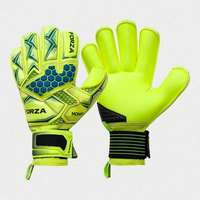 Including the optional counterbalance weights with your goal will ensure that all safety measures are undertaken prior to the match. The unassuming weights have been specifically designed to slot within the goal frame, preventing overturning and undesirable movement throughout rigorous use. 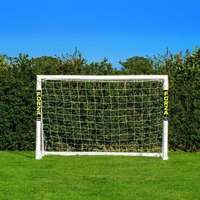 Powered by sturdy manufacturing, the 110mm reinforced aluminium football goal posts are incredibly hard-wearing and durable. As well as this heavy duty design, the versatile frame is also staggeringly light in weight, providing the option to lift and carry the freestanding goal frame by hand. 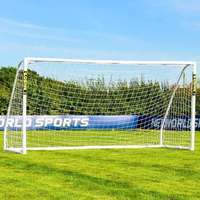 There’s no better goal for ambitious juniors with their sights set on the upper echelons of the beautiful game than this regulation size 16 x 7 9-a-side football goal. The goal of choice for professional clubs, the smaller-sized alu110 football goal allows clubs and coaches to apply the same high levels of manufacturing to youth team matches and training sessions. 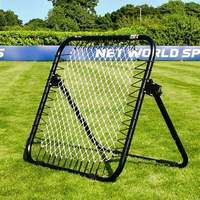 There’s no need to permanently root this premium aluminium football goal into the ground due to its freestanding design, making it appropriate for 9-a-side matches on indoor pitches as well as outdoor surfaces. 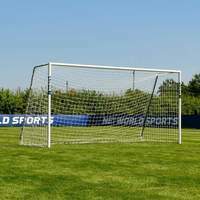 The sturdy manufacturing of this state-of-the-art football goal for juniors allows it to play host to seasons upon seasons of 9-a-side matches. 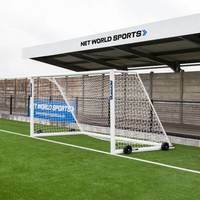 The premium quality goal posts have been made from the finest 110mm reinforced aluminium, which has been powder coated in a classy white colouring for high levels of protection against rust and corrosion. 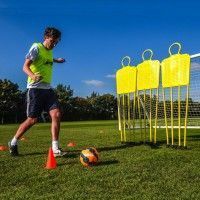 Capable of being used on any surfaces due to its weatherproof design, the versatile 16 x 7 football goal can also be used in training sessions by all age groups, providing a reliable target for a wide variety of training drills. 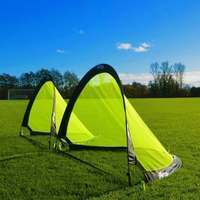 Alongside the top of the range aluminium football goal frame comes a 5mm HDPE braided goal net. 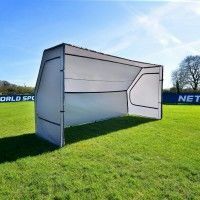 This all-weather football goal net is protected against the harmful impacts of the weather such as rot, enhancing the lifespan and performance of the goal during all periods of the season. Remaining pristine from the first whistle to the last, the professional net fits immaculately to the 16 x 7 aluminium football goal, with secure twist and lock net clips included for reliable attachment. 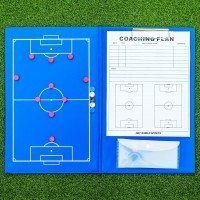 This 9-a-side matchday football goal package has been painstakingly designed to provide the ultimate football goal for juniors. 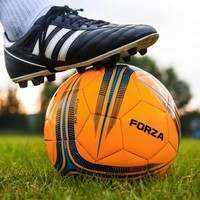 With two optional extras to pick and choose from, the performance of this premium quality 9-a-side freestanding football goal can be enhanced even further. For coaches and clubs who waste precious energy carrying their goal to and from the playing pitch, the heavy-duty lever type wheels will do the lifting for you. 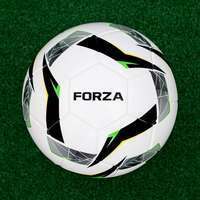 They feature a one-of-a-kind CAM mechanism, which eliminates manual lifting by raising the football goal up to a unrivalled 100mm off the ground. Extra wide with a deep diamond tread to prevent sinking into muddy grounds, the puncture proof football goal wheels provide optimal mobility. The second optional extra on offer is our specially tailored internal counterbalance weights. Having been expertly designed to slide into the bottom framework of the goal, the weights ensure that all necessary health and safety measures are taken prior to kick off. 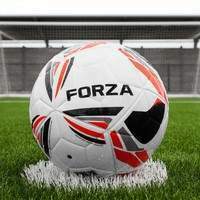 The high-quality football goal weights keep the freestanding goal fixed into its position, refusing to budge under the weight of a barrage of goal bound strikes. Simply fill the weights with stone, sand, water or metal and your 16 x 7 junior football goal will be your last line of defence. 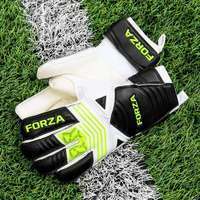 The entirety of the FORZA Alu110 Freestanding Football Goal range aims to provide professional quality without a hefty price tag to all standards. 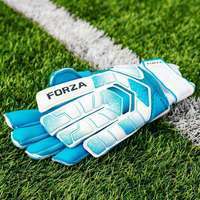 Boasting the professional seal of approval, all Alu110 goals conform to worldwide match regulations set by the FA, MLS, A-League, UEFA and FIFA. Similarly, they have all passed independent testing to BS EN 748/8462 safety standards - To view the video of the testing process please click here. If you wish to download a copy of the safety certificate, please click here. 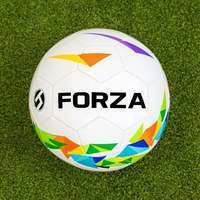 The table-topping FORZA Alu110 range has been expertly designed with strength, power and precision in mind. 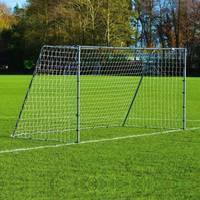 16ft x 7ft football goals are designed for junior 9-a-side matches and are also ideal for senior training sessions. Appears quite sturdy. Only thing that would be this purchasebetter is a discount on a replacement net!